New FHSS professor Natalie Hancock had an “aha” moment on the first day of her undergraduate interior design class at BYU. Her professor was listing a few majors that might interest students who liked the class. “When she said Family and Consumer Sciences Education, I knew that was the major for me,” Professor Hancock said. Then-student Hancock had always loved sewing and cooking, and she’d taken a few FACS classes during junior high, but it took the interior design professor’s comment to make Professor Hancock realize what she wanted to do with her life. Since taking that undergraduate course, Professor Hancock has given her all to helping family and consumer science students. She worked as a middle school and high school teacher for several years, where she integrated technology, math, science, and even social media into her classroom. Looking back on her own undergraduate and graduate studies, Professor Hancock said the most valuable lesson she learned was to always do her best work. That way, she knew she was being true to her potential, and she could happily accept any grade she received. Welcome back to BYU, Professor Hancock! “There is no conflict between science and religion. Conflict only arises from an incomplete knowledge of either science or religion, or both,” said Elder Russell M. Nelson. New School of Family Life professor Dr. Alyssa Witting believes that religion and science can tremendously inform and help each other in the field of therapy. She intends on bringing this perspective to her work at BYU. “As an LDS scholar, I have an overarching hope that my work will help in the effort to bridge gaps in AND between our gospel understanding and scholarly understanding of how to heal from trauma. We know that anything true is part of the gospel of Jesus Christ…. There is much to be learned about what we can and should do to help those affected by mass and personal traumas by turning to the scriptures and the words of modern-day prophets as well as the wonderful work and work of trauma researchers and theorists,” said Dr. Witting, who studies trauma. View failure as “inspiring learning.” Use your setbacks and challenges to reach farther and climb higher. “I feel very humbled to be a faculty member at BYU. I have truly extraordinary researchers and teachers who are people of great character to interact with and learn from as my colleagues and I feel privileged to be surrounded by the incredibly bright and dedicated students here in FHSS. I can honestly say there is no place I would rather or even would have continued my work as an academic,” said Dr. Witting. Welcome to BYU, Dr. Witting! 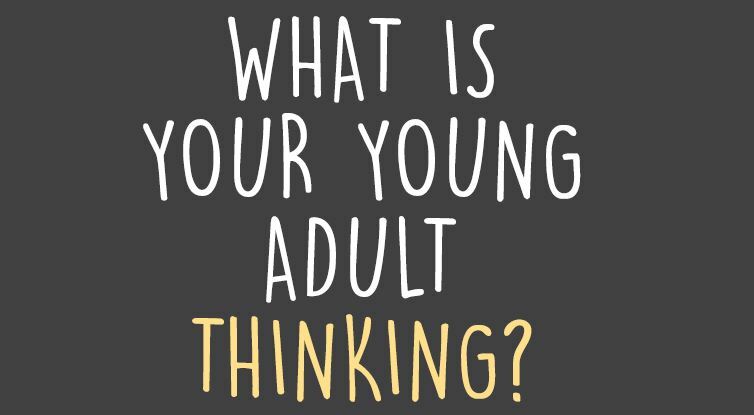 What is Your Young Adult Thinking? What is a Fulbright, and Why Should Faculty and Students Care? Are you a faculty member interested in becoming a Fulbright Scholar or in learning more about the Fulbright Scholars Program? Are you an undergraduate or graduate student interested in doing research abroad? On March 23rd, the College of Family, Home, and Social Sciences will host two representatives of the Fulbright Program—Sophia Yang, and Lee Rivers—who can tell faculty and students how to apply for either kind of opportunity. Fulbright student scholarships fund an academic year of international experience for U.S. citizens, and are open to graduating seniors and graduate students. With more than 1,900 awards available, the Fulbright is a terrific opportunity to study, conduct international research or work as an English teaching assistant abroad. Faculty members interested in learning about opportunities with the Fulbright Scholar Program may attend the presentation given by Sophia Yang at 12:00 p.m. on March 23rd in the Hinckley Building east conference room. A light lunch will be served at 11:30. Ms. Yang’s presentation will be followed by an opportunity to speak with her one-on-one about the application process and more specific information about various opportunities. Faculty members should RSVP using this Google doc, or by emailing fhssresdev@byu.edu. 12 p.m., lunch at 11:30 a.m.
Students interested in learning about opportunities with the Fulbright Student Program may attend the presentation given by Lee Rivers, the Assistant Manager for Outreach and Special Projects for the Institute of International Education. This presentation will be at 11:00 a.m. on March 23rd in room W170 of the Benson building.. There will also be a Q&A following the presentation. Students may sign up in this Google doc. For more information, contact Kristen Kellems at fhssresdev@byu.edu.